Franklin Abbott is an original radical faerie and early contributor to the Gay Spirit movement. He edited three anthologies on men's issues including Boyhood: Growing Up Male. He is a frequent contributor to RFD and a poet with two books of poems and stories, Mortal Love and Pink Zinnia. He lives in Atlanta where he has a private practice in psychotherapy and consultation. 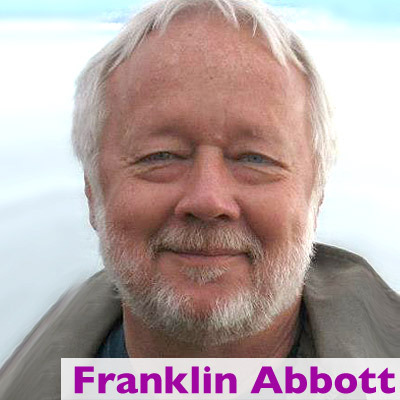 He can be reached through his websites: www.franklinabbott.com and www.pinkzinnia.wordpress.com. His interviews with Allan Gurganus, Brandon Kazen-Maddox and Ron Suresha appear in the current issue of RFD.